We recognize that petitioner’s inability to raise an interest abatement claim in her 2004 deficiency proceedings resulted in her inability to be the prevailing party in those proceedings and to recover costs and fees for respondent’s delay. Under existing law, however, a taxpayer is left with no remedy or ability to recover costs caused by the delay or actions of the Commissioner’s employees during the period giving rise to the abatement of interest claim. That result, as highlighted by the circumstances of this case, is unfortunate and ironic, but something that can be remedied only by Congress. The Court did allow fees for the abatement action, but cut the fees for both a paid professional and a clinic that was assisting. The Court appeared to look closely at each bill, and culled away portions that it thought were not specific enough or backed by the facts of the case. This could be instructive for practitioners contemplating such a request, who should be very specific and accurate in keeping time. In an opinion (Flake v. Comm’r) stay at home parents around the world should love, the Tax Court has held that poor recordkeeping and being disorganized was not indicative of fraud, but “attributable to…[the taxpayer’s] competing duties as a mother to numerous children rather than fraudulent intent.” My wife just said, “told you so, what is your excuse.” Uncool. 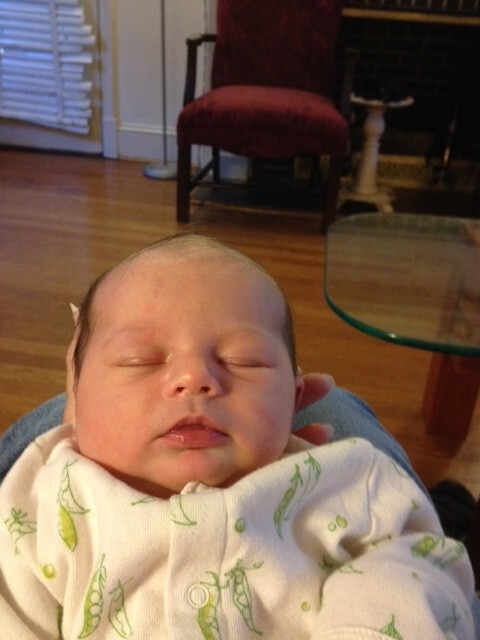 I parent…sometimes. SBSE has released internal guidance on its Fast Track Settlement (FTS) program. SB/SE FTS is a non-mandatory dispute resolution program where SB/SE and a taxpayer can take specific issues to Appeals for review, however, the case remains in SB/SE. The guidance provides a strong overview of which taxpayers may be eligible, when SB/SE should consider using FTS, the process and how resolution may be obtained. FTS and other alternative dispute resolution methods available before the various Exam groups are discussed in great detail in Saltzman and Book, Chapter 8.16, which was recently rewritten this past year. Another week, another FATCA notice (Notice 2014-33), this time with the Service indicating that for 2014 and 2015 it will consider whether a FFI made a good faith effort to comply with the FATCA regs. The notice contains a fair amount of information, full coverage of which is beyond the scope of SumOp, but it is worth noting that the Service will look at good faith in enforcement in certain circumstances. Also worth noting is that some accounts opened from July 1, 2014 to January 1, 2015 can be treated as preexisting obligations for due diligence, withholding and reporting. Both of these points were hot topics at the ABA FATCA Update for Onshore and Offshore Private Investment Funds talk, as was how to actually use the online registration. The panel did a great job, but could not add much as to what “good faith” was. They did say to start the process ASAP, and to create written policies to follow. 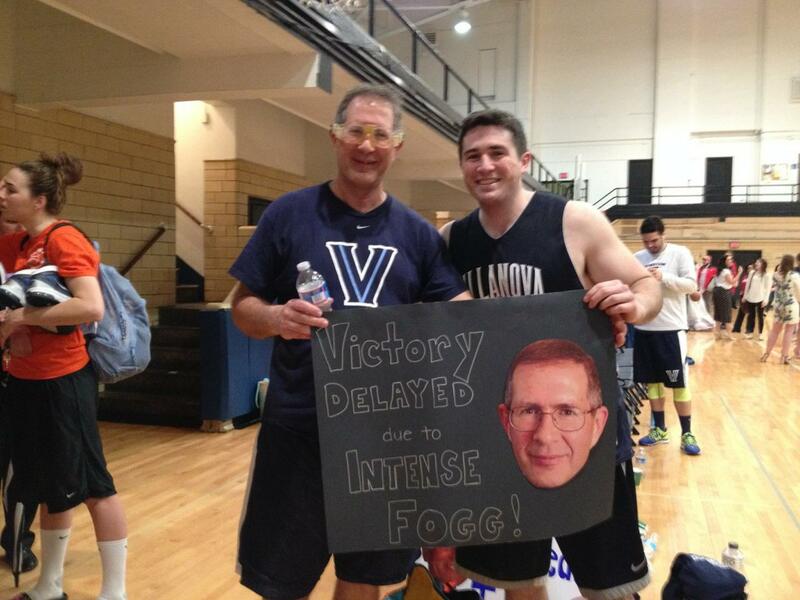 Villanova Law rained down its superior basketball talent on Temple Law at the fourth annual Deans’ Cup Basketball Tournament. It wasn’t the rain, or thunder or lightning, that had Temple quivering in fear. It was the blanketing Fogg that kept them in check. Our own Keith Fogg, sporting the recreational spectacles (Rec Specs), participated again in this great fundraiser for the public interest fellows of both schools. A crowd favorite, the raucous backing of his fans helped propel ‘Nova to a victory. The Tax Court upheld a jeopardy levy in Lee Ang v. Comm’r (not to be confused with the incomparable director, Ang Lee, although both did appear to attend NYU), where the settlement officer incorrectly determined that the request for review was untimely. As a side note, this case involved a nominee lien, which Keith wrote a great post on last week that generated some very interesting comments. In Mr. Ang’s case, the Court found that he was not prejudiced by the settlement officer’s incorrect finding that the request for administrative review of the levy was untimely. Based on the record, and IRS settlement notes, that determination appeared to have little or nothing to do with the sustaining of the jeopardy levy, and it was Mr. Ang’s actions to obfuscate his holdings that resulting in the levy remaining in place. Courtney Love has found herself in a tax Hole. The IRS has slapped a $320k notice of tax lien on her. One of greatest things about the notice of federal tax lien is the regular opportunities it gives to observe “stars” who do not pay their federal taxes. While most federal tax matters are private, the notice of federal tax lien tells the world that someone owes taxes and it tells the amount due at the time of the filing of the notice. Stars who fail to pay their federal taxes do for the collection division what high rollers who cheat on their taxes do for the criminal division. This is the best advertising the IRS can get. That statute states, “No penalty shall be imposed under subsection (a) unless the Secretary notifies the taxpayer in writing by mail to an address as determined under section 6212(b) or in person that the taxpayer shall be subject to an assessment of such penalty.” 26 U.S.C. § 6672(b)(1). The notice “shall precede any notice and demand of any penalty under subsection (a) by at least 60 days.” 26 U.S.C. § 6672(b)(2). The Internal Revenue Manual §5.7.4.7 explains that the IRS should fulfill this notice requirement by hand delivering or sending via certified mail a Form 1153 letter to the taxpayer. The Form 1153 letter gives notices of the assessment, contains a description of appeal rights, and allows the responsible party the opportunity to agree or appeal the penalty. I.R.M. §5.7.4.7. The notice must be sent to the taxpayer’s last known address, but proof of receipt is not required. Relying on the 11th Cir. case in Bonaventure (almost identical facts but unreported), the Court found an unsigned Form 1153, and statements about proper procedure were not sufficient to show certified mailing of the notice to the taxpayer. Although other Circuits have dealt with what is proper notice, I could not find another Circuit dealing with this particular issue. Court did not find that Service was entitled to presumption of official regularity. From TaxProfBlog, we found this OIC settlement rate table on Cleanslatetax.com. The rate shows a steady increase in accepted OICs from 2008 to now, with an acceptance rates around 42% last year. Keith said to me he thought this had to do with more low income taxpayers using the program, and clearly qualifying, and few high income or asset taxpayers trying to qualify, but failing. The IRS has updated its FATCA FAQs, increasing the content on registration of various entities. Mr. Hom is tenacious. The Northern District of California has tossed another of his counterclaims for wrongful disclosure between Treasury and the DOJ in his FBAR case (Docket No. C 13-03721). We have covered Mr. Hom’s tax issues before on this issue here, and on his 90 day letter being invalid because it failed to include some TAS info here. The Tax Court in Purciello v. Comm’r has decided that the Service was substantially justified in its positions taken against a taxpayer in a penalty case, when it seemed pretty clear the IRS did a terrible job in handling the matter…in this instance, the failures had nothing to do with the difficult to attain Section 7430 administrative costs. The Purciellos had already recouped some legal fees related to a refund stemming from the same case, where the Service took the position that the refund claim was improper. In the tax case related to the administrative handling of Purciellos’ claim, the Service eventually decided its position was incorrect. The Court found that the Letters 3784 denying the claim did not officially take a position, and it wasn’t until the penalties were abated had the Service taken a substantially justified position. The Service apparently also lost the case file, failed to follow proper assessment procedure, and was unresponsive for many years. For Section 7430, the first of a notice of deficiency or an Appeals determination can generally be the Service position. Courts have held that notice of deficiency has the same meaning as under Section 6212 (90 day letter), which isn’t applicable in TFRP cases. We’ve extolled the virtue of qualified offers in this blog in the past, but since the Service had not taken a position, I am not sure it would have helped the taxpayer here. Perhaps it makes sense to consider a revision to the statute allowing a TFRP refund denial to be a position of the IRS. First up is In re Equipment Acquisition Resources, Inc., a 7th Circuit bankruptcy holding from early February that did not land on my radar until a recent article was published in the Legal Intelligencer. In the case, the Circuit Court held that a debtor in possession could not attempt to recoup federal tax payments pursuant to Section 544(b)(1) of the Bankruptcy Code ( authorizing a trustee to bring a state law fraudulent transfer claim). Other lower courts had held that Section 106(a)(1) of the Bankruptcy Code extended the waiver of sovereign immunity to Section 544 also, but the 7th Circuit disagreed, stating the bankruptcy provision requires a valid paid creditor under state law, which would not extend to the United States because of sovereign immunity. Joshua Blank, of NYU, added his article “Tax Privacy and Tax Compliance in the United States” to SSRN. This article appears to borrow from Mr. Blank’s prior scholarship on this topic, and was put together for a symposium in Brazil on tax administration. The impact on compliance of privacy of tax information or public disclosure is a topic often discussed in our blog, and this article provides a nice summary. In CCA 201409005, the Service has indicated it will review on a case by case basis the processing of amended S corporation returns after the period for assessment under Section 6501 and the period for a refund under Section 6511 have both run when the return shows no change in the amount of tax due by the corporation. The Service decided it has no obligation to accept the return, and it found no prohibition. Why would you file such a return? In this case, the amended return modified flow through income and credits passing to a shareholder who had made a timely personal refund claim based on these flow through. The shareholder needed/wanted the Form 1120S to back up his claims on the personal return. Although not binding, the Service did state that that since the late amended Form 1120S would impact the timely filed personal return, that may provide justification for processing the amended Form 1120S. A fairly taxpayer favorable decision, if implemented. Lew Taishoff on the Taishoff Law Firm blog has posted regarding Murphy v. Comm’r, where Judge Holmes did not allow the taxpayer to change her legal argument at the calendar call. The post is worthwhile. It does shed some light on the use of Rule 41. More importantly, it involves black magic, a stalker, and Mr. Taishoff used two words in just the first sentence that I had to look up. Mr. Jack Townsend offered a lot of great content this week on both his federal procedure and his federal tax crimes blog. Our favorite for the week may have been the review of the Motion for Summary Judgment in the Zwerner case. Jack has some great comments on the standard the Service is claiming is applicable, and the Service’s view on willfulness. From Mauled Again, on March 7, Professor James Maule provides additional discussion of the Walter tax protestor case, which we discussed before because of the time devoted by the Court to discussing protestor arguments, in particular the B.S. offered by author and tax protestor Peter Hendrickson. Prof. Maule has had a bunch of great posts over the last week, including the tax treatment of the found gold bullion in California. From his February 28th post, there is a sad study showing that Philly has lost a substantial portion of its middle class. I (a New Yorker) have to stop making jokes about Philly being low class. Feels less funny when it is true. Net investment tax FAQs have been updated by the IRS. Welcome to the internet Tax-Expatriation Blog. A nice collections of articles and opinions on expatriation so far. I found this summary of reasonable compensation for s-corporation shareholders who are also employees through LinkedIn. The article has some helpful pointers in documenting the amount of work the shareholder does prior to audit, and some information on handling an audit on this point. The article doesn’t discuss much of the case law in this area, but does have a nice discussion on the Davis v. Comm’r case from 2011, and affirmed in 2013, discussing arm length transactions in this context. To quote Lil Wayne, “you got money and you know it. Take it out your pocket and show it and throw it”…just not at the IRS. I honestly do not read TMZ, even if my posts would indicate otherwise. The Journal of Sophistication and High Class is reporting (?) that the Service has slapped a tax lien on Mr. Carter for close to $12MM. Life is hard on The Block! I’m not talking about the seedy 400 block of East Baltimore Street in B-more, MD known as the Block. I’m talking about H&R, where a not-so-gentleman choked out his tax return preparer based on his dissatisfaction over the computation. Not as bad, though, as the guy in Detroit who beat up a tax return preparer over someone else’s return (gun shots were fired). If you haven’t seen this Pittsburgh criminal lawyer’s advertisement it is worth three minutes of your day. “I may have a law degree, but I think like a criminal.” So, he possibly has a law degree? I hate daylight savings time, and unfortunately tax laws have a hand in it being this weekend. As the father of three very strong-willed young women, I am fairly conscious of the different reactions that others have to their behavior and the behavior of boys of their age. This WSJ essay by Sheryl Sandberg and Anna Maria Chavez discusses our use of the term “bossy” when describing confident, decisive girls, and the subtle (or not so subtle) constraints this puts on them. I completely agree…but…my four year old is bossy. March Madness is almost here, and last week we covered accountants being downers, and blocking access to the games during work hours. This week, we have lawyers being completely uncool, and explaining why bracket pools are probably illegal. Short but sweet this week. Apparently, no one is bringing tax cases in federal court any more (we’ve got the stats), and including all the schedules on your tax form is important (Deutsche Bank lost some interest). Villanova’s LLM/MT has found the web. Also, a road map for transfer pricing audits, and a road map for getting drunk on the cheap. Finally, a summary of Patrick’s Smith’s Florida Bankers article from Tax Notes, and some FATCA regs. Special thanks to our guest posters from last week, Rachel Rubenstein and Andre Anziani with their first and second part of their Kaplan post, and Carlton Smith for his Howerter/Rev. Proc. 2013-34 post. Patrick Smith, of Ivins, Phillips & Barker, who we have discussed before, has published an article in Tax Notes, which is available here, discussing why in his view the DC District Court’s application of the APA’s arbitrary and capricious standard in Florida Bankers Association was wrong. Mr. Smith argues the Court incorrectly relied on the Service’s flawed reasoning for regulations requiring banks to report interest paid to nonresident aliens, and did not properly apply the State Farm arbitrary and capricious standard. In APA and Challenges to Agency Guidance, Les has previously covered a different aspect of Florida Bankers, namely whether the district court should have heard the case to begin with in light of the APA and Anti-Injunction Act. Mr. Smith’s article highlights the growing importance of traditional administrative law doctrines in examining the adequacy of IRS guidance, and explores in depth why under State Farm courts will be paying close attention to preambles to explore the adequacy of the IRS’s legal and factual assumptions in issuing the regulations. Interest (ing) case from the Federal Circuit in Deutsche Bank AG v. United States, where the Circuit Court ruled on when a return or other document was in “processible form” for starting interest. KPMG has a good summary. The vastly oversimplified version of this case is that the taxpayer submitted its Form 1120 on Date X but did not itemize the taxes and sources from which they were withheld, and some of the required forms were not included. The Service returned the Form 1120 and requested back up information and the additional forms. The taxpayer provided the additional information on Date B. On Date C, the taxpayer amended its return requesting a large refund, which the Service issued, along with interest back to Date B and not Date A. Taxpayer then requested interest back to Date A, and the Service stated the taxpayer’s first return was garbage, and not processible. Section 6611(g) requires the form to be processible before interest on overpayments will be issued, and the Federal Circuit agreed that without the other applicable forms, the return was not processible. It did note that if the information were otherwise available to the Service, the return may have been processible, but that was not the case. The concept of “processible” forms is important in other areas, and the loss of interest is unfortunate for the bank, but had a timely election been blown, or other information not properly reported, this could have been more costly. Remember to attach those schedules and forms as we approach April 15. 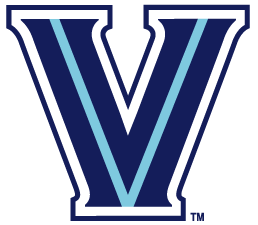 Villanova announced this week that it is starting an online LLM and MT in Taxation program, and the press release can be found here. In my incredibly biased opinion, I think this is a wonderful addition, allowing significantly more people access to the superb instructors in graduate tax program at Villanova. Mr. Jack Townsend forwarded some interesting statistics to Les this week, which are from Syracuse University and track the tax court cases filed. The information can be found here. The stats show a 10% decline year over year, and a 30% decline over the last five years. The page also indicates where these cases are being brought, how often the Service is plaintiff, what the most frequent causes of action are, and has a list of many (all?) the docketed cases. These stats can be misleading regarding the decrease in litigation, as Tax Court cases are not included. Les pointed out there is a good chance that some or all of the decrease is due to CDP cases now having to be heard by the Tax Court. This is the new IRS transfer pricing audit roadmap. This seems fairly useful for those navigating this process. The Service has issued final and additional temporary FATCA regs, the press release can be found here. There is a link to the regulations on the press release. I am not going to provide any commentary on this, as I have not reviewed the regulations. My initial reaction is that there are many small but important changes made. The Service claims this is the last batch of guidance needed to implement; we shall see. The Tax Foundation has a tax map showing how much each state taxes booze. Good to be a drunk in Wyoming, not Washington.